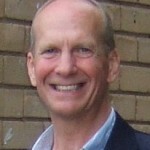 Mike graduated in 1978 from the University of Surrey with a B.Sc. degree in Chemical Engineering, the course including a year at South African Pulp & Paper manufacturer SAPPI. Following a graduate training year at British Gas, he joined the London office of Black, Sivalls & Bryson in Project Management and Proposals/Process Design roles, specialising in oil and gas production systems. He became a Chartered Engineer in 1984. This grounding enabled him to establish the first of his own businesses – KCC Process Equipment Limited – in 1985. Under his Chairmanship KCC rapidly established itself as a market leader in separation and gas dehydration technology and built up a world-wide track record supplying countries globally such as Brazil, Nigeria, Gabon, Norway, Denmark, the UK, Russia, Libya, Saudi Arabia, the UAE, Oman, Yemen, India, Malaysia and China. In the years 1985-2002 KCC set up companies in London, Abu Dhabi and Houston as well as acquiring a fabrication shop in Sussex, UK and obtaining ASME ‘U’ stamp certification. KCC won the Queen’s Award for Export in 1993 and in 2002 the shareholders agreed to sell the business to Petreco, who in turn sold the group the following year to Cooper-Cameron. Between 1994 and 2009 Mike served on the Board of the Energy Industries Council trade association, latterly in the role of Chairman of the Performance & Remuneration Committee. During 2004 Mike signed an exclusive deal to market a specialist range of Highspeed™ cyclone products developed at Berlin University, for mist elimination and mass transfer applications. 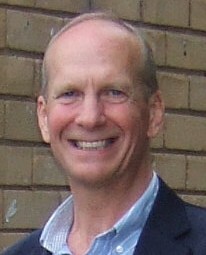 In 2005 Mike bought a share in HAT International Limited – a specialist mass transfer internals business – and joined as Joint Managing Director. He helped expand the business, widen the product range, achieve ISO 9000 accreditation and establish branches in Pune and London before starting KIRK Process Solutions Ltd in 2009. Abhijit graduated in 1984 from the University of Nagpur, India with a B.Tech degree in Chemical Engineering. After a few years in the Graphite and Polyester industry he joined Sulzer India Ltd in 1989 (the Indian arm of the Swiss company, Sulzer Ltd) and was responsible for design / marketing of structured packing and other tower internals. In 1993, he started representing Nutter Engineering,UK /USA for marketing their tower internals in the Indian market. From 1997, he represented HAT International Ltd, UK to look after their sourcing activity for various tower internals from India, and then in 2005, was also instrumental in setting up their design, proposals and inspection office in Pune, India. This involved getting competitive quotations from Indian suppliers for various types of tower / vessel internals, recommending them to the parent company in the UK and, once orders were placed, ensuring quality of the products, timely delivery and also the packing and shipment to the destination. He is now carrying out a similar activity for KIRK process Solutions since 2011. Gary Lan graduated in 1994 from the Shan Dong University , China with a B.Sc. degree in Chemical Machinery and Equipment. In 2003 he attained his M.Sc. from Nanyang Technological University, Singapore. After some years in the oil & gas industry he joined Sulzer Singapore in 2004 and was responsible for the design of structured packing and other tower internals. In 2009, he joined Bechtel Oil and Gas (USA) as a tower internals specialist. 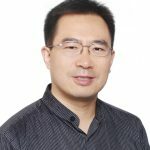 From 2011, he rejoined Sulzer China to establish the projects department of their process technology division, including setting up their design, proposals, engineering, procurement, fabrication and inspection office in Shanghai, China. He has been carrying out a similar activity for separator internals for KIRK Process Solutions since early 2015.